Sky has said it will not air a TV program about Michael Jackson after his daughter, Paris, said she was "incredibly offended" by the portrayal of him. The episode had been due to air on Sky Arts. 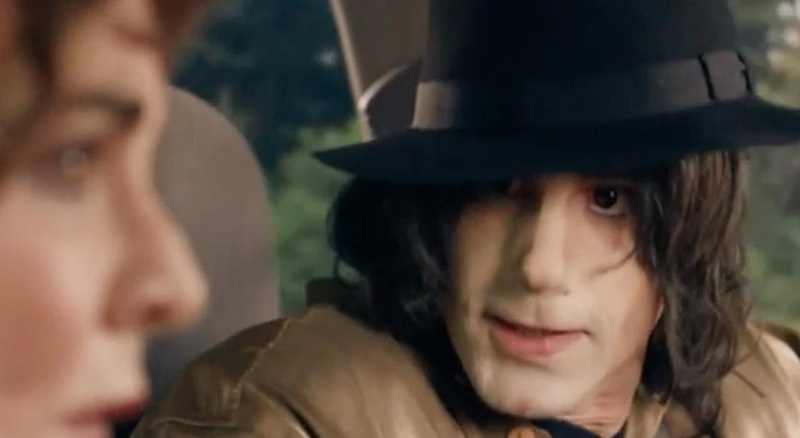 The episode told the story of Michael Jackson, played by Joseph Fiennes, taking a road trip from New York to Los Angeles with Elizabeth Taylor and Marlon Brando after the 9/11 attacks on the World Trade Center. "We have taken the decision not to broadcast Elizabeth, Michael and Marlon, a half hour episode from the Sky Arts Urban Myths series, in light of the concerns expressed by Michael Jackson's immediate family. We set out to take a light-hearted look at reportedly true events and never intended to cause any offense. Joseph Fiennes fully supports our decision." Paris tweeted on Thursday that images from the trailer made her "want to vomit". A petition to boycott the half-hour episode had been signed by more than 20,000 people.